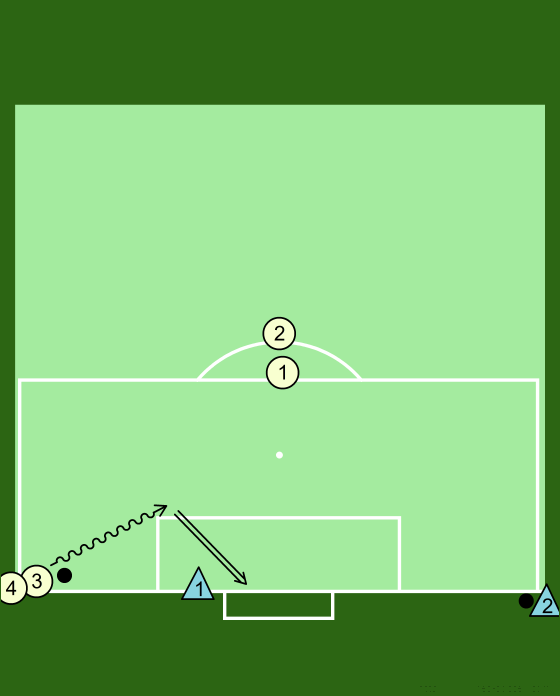 2 players in each corner of the goal line. 2 players at the top of the penalty area. 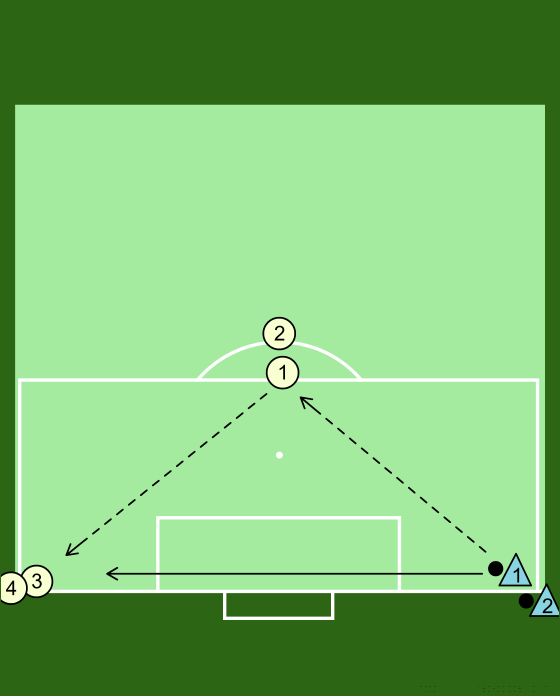 Player 1 will pass to the player at the top and goes to the other side of the field to defend player 3 who receives the ball from the top. From here the play is 1 on 1. Put the emphasis on the defense of the defender. Defender goes to the top of the penalty area. And the passer goes to the other corner.